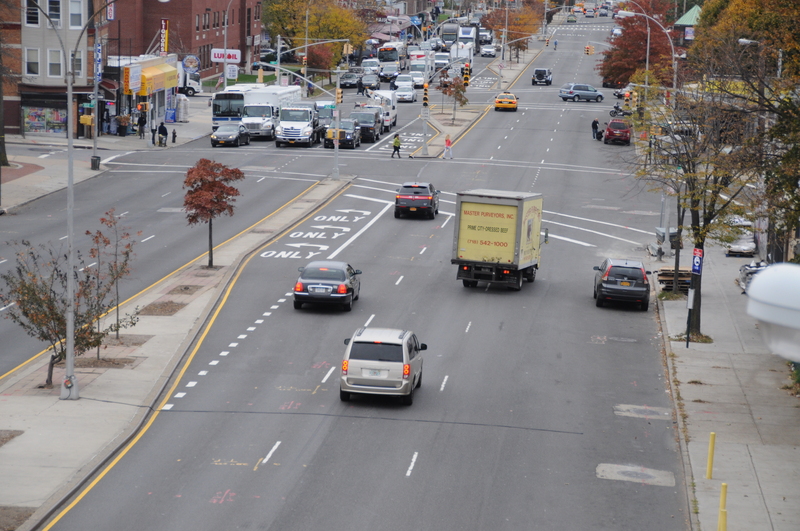 Construction crews recently wrapped up work on a new intersection at 103rd St and Astoria Boulevard. This intersection will allow for pedestrians to safely cross the street at a location that previously did not allow for it. NYCDOT’s Street Ambassador team spent last week on Astoria Boulevard informing the general public about the upcoming changes to the street. Construction has now begun on phase one of DOT’s Astoria Boulevard project from 99th St to Ditmars Blvd. The Department of Transportation is working to improve safety along Astoria Boulevard between 77th Street and Ditmars Boulevard. We are working to redefine the street as a neighborhood boulevard to connect local residents rather than an extension of the highway.